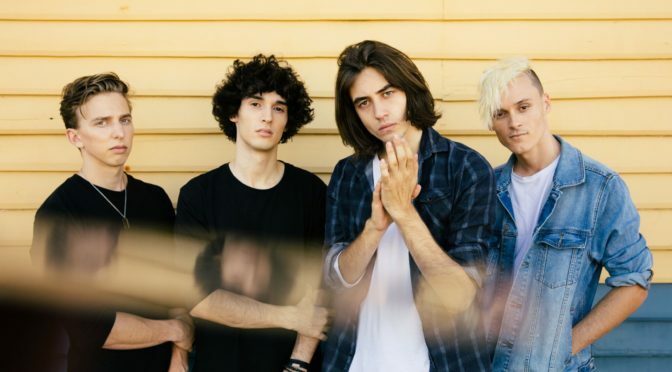 Los Angeles — Perth, Australia’s newest export, The Faim who have recently signed to BMG worldwide, premiered their new song ‘Saints Of The Sinners’ last night as the Radio 1 Rock Show’s ‘Rockest Record.’ The single is out today, February 5th, and is available to stream and purchase HERE. “‘Saints Of The Sinners’ is about making your mark in the world, and not letting anyone stand in the way of where you want to be. It brings out the youth-fuelled rebellion of the voice in all of us that wants to be heard,” says Stephen Beerkens, who plays bass and keyboard in the band. Listen to the track HERE or by clicking the video below. Come and see what the fuss is all about when the band play their debut UK shows with Lower Than Atlantis in the spring, as well as a slot at Download Festival in the summer.